Our Policy recognizes two kinds of personal data that deserve varying levels of protection. Personal Information includes, for example, e-mail addresses, billing information, and "click through" data that tracks user activity on a Web site or online service. A subset of that category, Sensitive Data, deserves additional safeguards. Sensitive Data includes, by way of example, Social Security numbers and any personal financial information. Collection. Personal Information will only be collected to the extent that Physicians 1st deems reasonably necessary to serve a legitimate business purpose. Access: Review and Correction. Procedures have been developed through which you can, upon request, review and correct the Personal Information that has been collected from them by Physicians 1st . Sensitive Data. The collection and use of Sensitive Data carries with it special obligations and responsibilities in order to maintain the data's security, integrity and privacy. Sensitive Data will not be made available for External Distribution outside Physicians 1st (although it may be made available through Onward Transfer as described below). Onward Transfer. 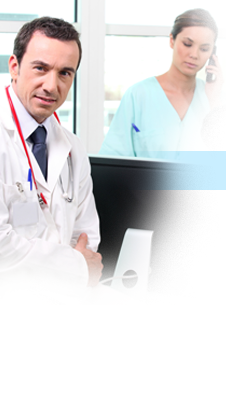 Whenever Physicians 1st permits a third party to access Personal Information through either External Distribution or Onward Transfer, commercially appropriate procedures will be followed to help ensure that the Information is used only for authorized purposes and by authorized persons in a manner consistent with the choices affiliates and licensees have made under this Policy, and that the security, integrity and privacy of the information is maintained. Please note that our Website may contain links to other Websites that have their own privacy policies and practices. While Physicians 1st employ commercially appropriate procedures to help ensure that your information is only used for authorized purposes as described above, Physicians 1st does not make any guarantees with respect to the actions or policies of such third parties.